Grab your best African garb because we’re taking a journey back to Wakanda! 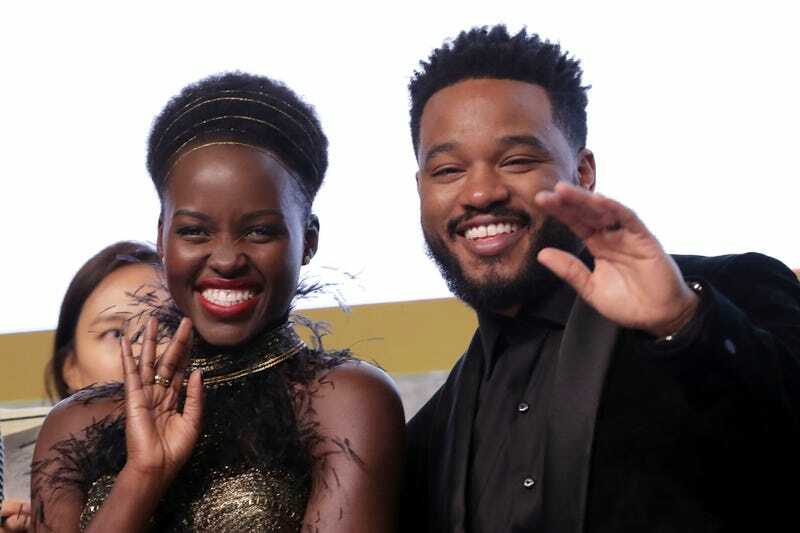 Black Panther 2 has officially been confirmed and of course, the studio has enlisted Ryan Coogler to remind us that Wakanda is and will always be FOREVER. According to the Hollywood Reporter, the panther’s out the bag and Coogler has closed a deal to both write and direct Marvel’s record-breaking film. Everybody and their momma, cousin, hairdresser and frat brother saw Black Panther and power of melanin grossed $700 million domestically and more than $1.3 billion worldwide. The Hollywood Reporter notes that Coogler plans to write the script next year and is eyeing to start production in either late 2019 or early 2020. It’ll be interesting to see how Black Panther follows Infinity Wars seeing that T’Challa got murked at the end of the film. Needless to say, 2019 is shaping up to be one of the blackest years yet with possible new music from Missy Elliott and Will Smith starring in Disney’s live-action remake of Aladdin. Whatever the hell Coogler has planned, we are ready to show up and defend Wakanda’s honor!